Much to my surprise, I actually like these two blocks. 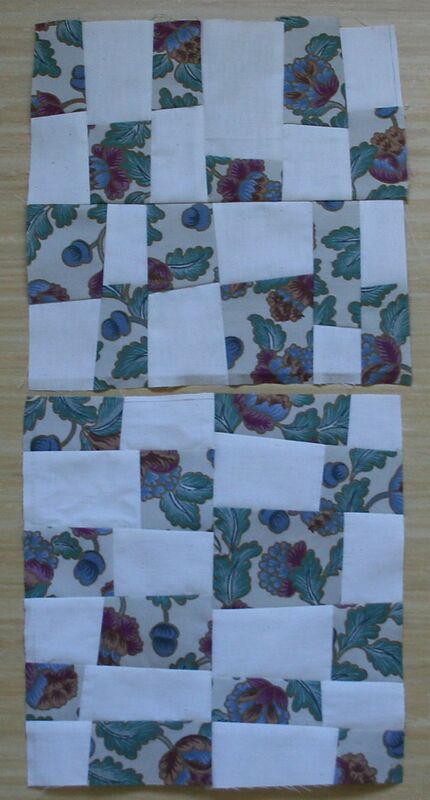 Cutting those blocks into 6 narrow strips was a mistake, but a mistake that resulted in yet another look. The blocks could be rotated too, or I can place a square ruler on top of them – at an angle – cut around the ruler, and create yet another look. I think that might look good too. What started as trying to make one wonky 9-patch block, turned into creating many variations, and something tells me, there are lots more to be discovered. Don’t you just love it when a simple idea spurs creativity?